Take your taste buds on an international journey without using your Sky- Miles or even leaving the island. 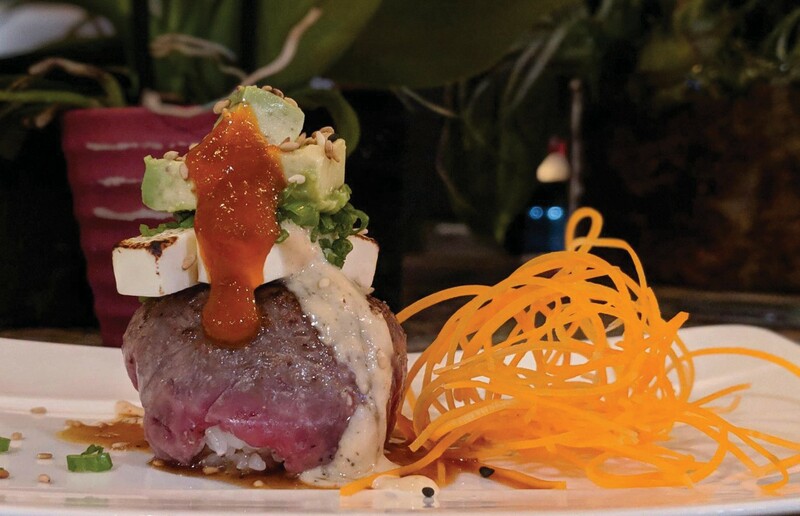 Check in to Misohappy, Key West’s newest and hottest dining spot. Think Miami meets New York City — comfy and cozy but oh-so-chic, this warm and inviting yet trendy sushi and Thai spot is a real treat for the senses. Located at 504 Southard St., Misohappy brings a new and refreshing vibe to the island. But I’ll warn you — come wearing stretch pants so you won’t leave feeling guilty because, trust me, you are going to eat. A lot. 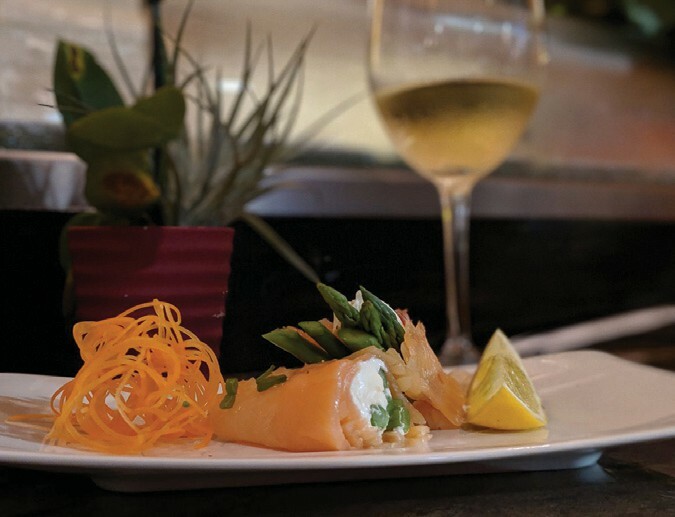 Nestled just footsteps off Duval Street with limited seating, Misohappy offers an intimate dining experience in the heart of Old Town. When you walk into the restaurant, the smell of coconut, sesame and garlic lingers in the air. Cool techno tunes bounce in the background while the master sushi chefs create delicate and beautiful works of art that are almost too perfect to eat. The walls are adorned with mounted fish and Asian-inspired art and the exposed wood shelving houses large sushi boats and intricate Asian ceramics. 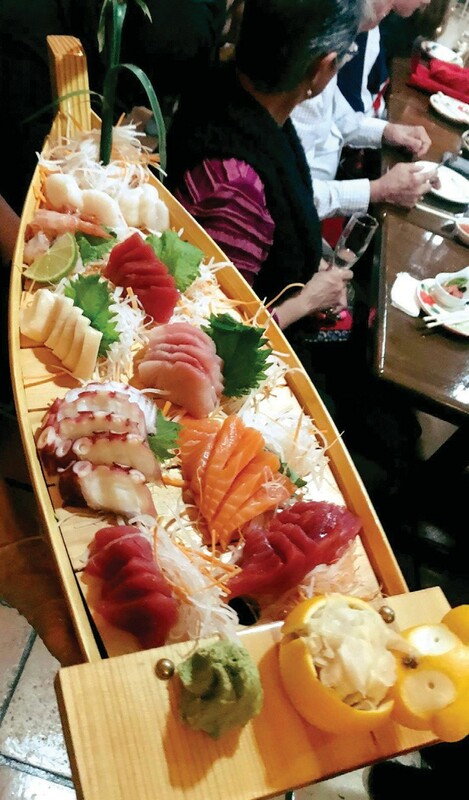 Sit at one of Misohappy’s dining tables or park it at their full sushi bar. The sushi menu is one of the most elaborate on the island, offering cooked and raw options. 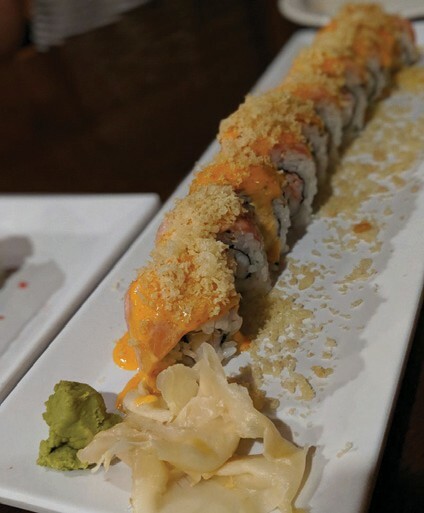 The seafood at Misohappy is fresh and flavorful, from the fresh sashimi to the Crunchy Munchy roll (stuffed with tempura imitation crab, mango and jalapeño and topped with imitation crab, tempura flakes and eel sauce then torched with fire). The New York roll is out of this world. 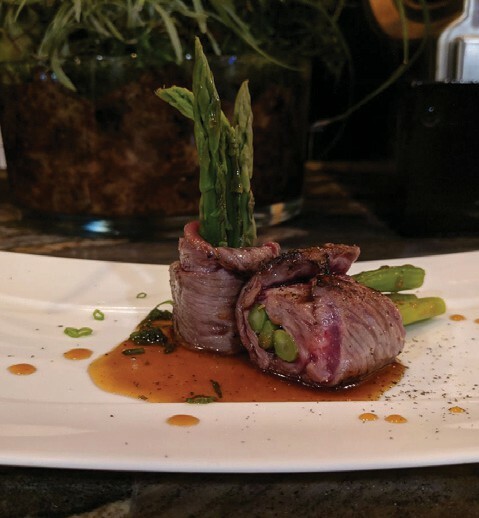 Think delicious New York strip served on top of a sushi roll stuffed with cream cheese and asparagus and drizzled with truffle sauce. One bite and you’ll feel like you’ve been whisked away to Manhattan and you’re dining at a Michelin-starred sushi restaurant with the Midtown jet set. If you are lucky enough to hit the sushi bar on a night when the Salmon Jalapeño is a special, don’t miss the opportunity to order it. This dish is served with raw salmon topped with garlic and jalapeños served on a bed of shredded carrots with fresh lime juice. The sushi chef also offers fresh yellowtail prepared the same way. Fresh is the motto at Misohappy, whether you order the local favorite Key West pink shrimp or red ahi tuna brought in from Hawaii. In fact, Misohappy prides itself on offering the freshest fish and the best ahi tuna on the island. If sushi and sashimi are not your cup of tea, fear not — Misohappy serves classic and traditional Thai dishes as well. Pad Thai is served up island-style with lobster or shrimp (or substitute chicken, beef or tofu). And the Lad Na (a wok stir-fried flat noodle served in gravy with broccoli, snow peas, mushrooms, baby corn and carrots) is traditional and comforting. The Khao Soi (a yellow curry broth served with a drumstick, egg noodles, shallots, pickled lettuce and topped with crispy noodles) is a traditional dish from Chiang Mai in Northern Thailand. Even if you’re as far from Thai as you can be, the Khao Soi somehow tastes like home. Veggie-loving diners will be happy to know that Misohappy offers an array of vegetarian options, including stir-fries and noodle and rice dishes. Regardless of which side of the menu you choose from, every dish at Misohappy is full of flavor and presented like a work of art. And with so many sushi and Thai options, there is something for everyone in your party. For dessert, try Misohappy’s Thai twist on a classic American ice cream sundae. The Happy Sundae features warm coconut sticky rice topped with vanilla ice cream and flavored mochi (Japanese ice cream), drizzled with chocolate sauce and crushed peanuts. Looking for something a little more along the lines of a traditional Thai dessert? Try the mango sticky rice (fresh mango served on a bed of sticky rice, soaked in coconut milk and topped with sesame seeds). If all of this food talk is making you thirsty, you should consider one of Misohappy’s sake cocktails. The Cucumber Cooler, made with Ty Ku sake and lemonade and served with fresh mint, is refreshing, light and delicious. There’s also a variety of domestic, craft and imported beers as well as wine and sake. Service at Misohappy is world class. From the moment you enter the door until the time you say goodbye, you are given the staff’s undivided attention. 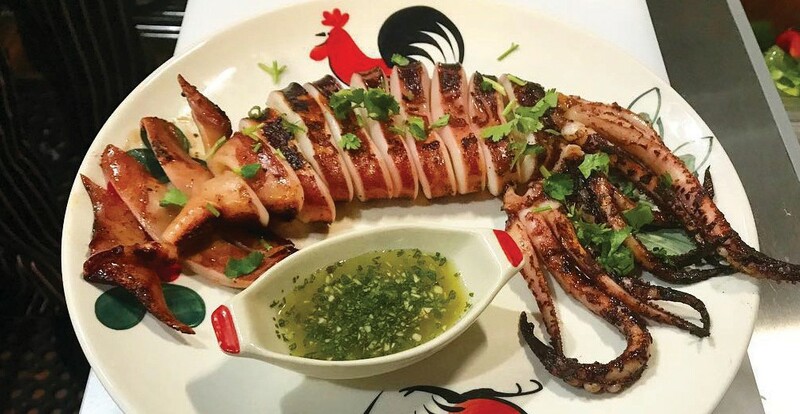 The staff is also happy and eager to encourage you to try new dishes on the menu, especially the more authentic Thai dishes such as stir-fried squid with roasted Thai chili oil. The open kitchen format allows you to see what the chefs are preparing. And you can sit at the sushi bar and feast your eyes on the elaborate sushi designs the masters are whipping up. The open kitchen demonstrates that each meal is cooked and plated to perfection right before your very eyes. Misohappy is the perfect addition to Southard Street’s already hopping food scene. Owned by the same owners as Thai Island, Misohappy brings their characteristic flavor, freshness and fun to Old Town Key West. Come hungry and leave feeling, well, Misohappy.